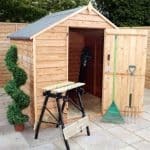 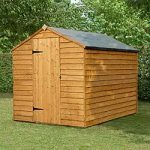 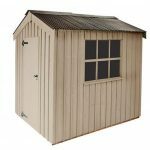 This apex wooden garden shed comes complete with a 10-year guarantee; this means that you have peace of mind. 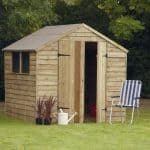 The shed has 10 mm solid sheet board on the floor and 8 mm solid sheet board on the roof. 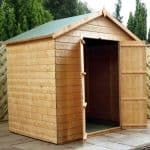 So you have a durable floor and roof. 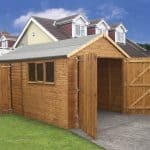 That roof is further protected by sand felt, which actively reduces the amount of rainwater on the roof. 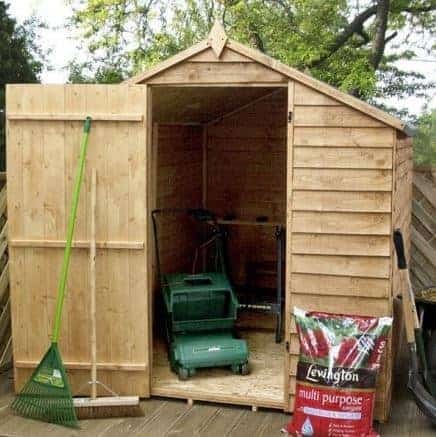 The shed is simple to build and it is recommended that two people help to construct the building.